The backbone of an organization are its employees, therefore it goes without saying that happy and healthy employees contribute to a happy company. 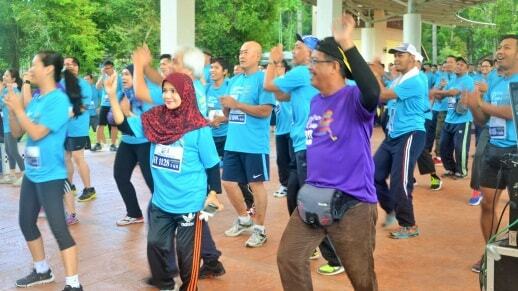 Committed to promoting a healthy lifestyle, Goodyear Malaysia Berhad organized the Goodyear Fun Run 2017 at Shah Alam Botanic Garden to encourage employees and family members to lead healthier lives. Held over the weekend,more than 250 Goodyear employees and their family members gathered early in the morning to conquer a 5km running route, which has been designed to provide participants a challenging experience. Runners were also treated to a pre-run aerobic warm-up session, to reinforce the importance of warm-up exercises to ready the body and mind for the day. “Everyone has a role to play in staying healthy, not just for themselves but for their families too. Here at Goodyear, we are committed to promote this and to also help reduce the 73% estimation of deaths caused by non-communicable diseases such as hypertension and diabetes, shared by the Ministry of Health recently,” added Ben. Participants were treated to a series of fun-filled activities from food trucks to lucky draw prizes. A runner Kick tarter pack was also provided exclusively to kids. All runners were awarded a finisher medal to commemorate their efforts and perseverance during the run. 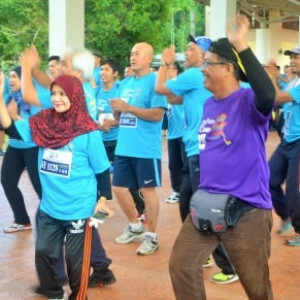 A series of friendly sports competitions and wellness activities will continue to take place throughout the year to promote healthy living and foster ties between Goodyear Malaysia employees. In 2016, Goodyear Malaysia Berhad was recognized as one of Asia’s best organizations to work in, and was also awarded the Asia Best Employer Brand Award 2016 conferred by The Employer Branding Institute.